The TAGS adoption process takes a couple of weeks. First, you submit your application, and then, upon approval, you will have your “Meet and Greet,” hopefully within that week. Next comes the Home Visit, where TAGS volunteers interview you in your home, and then, presuming everyone would like to continue with the application, you will have a 1-2 week “Extended Visit.” This stage is where you find out officially whether the adoptable pet is the right one for your family. If they are, you will sign the adoption papers at the end of your extended visit and officially welcome the pup home. 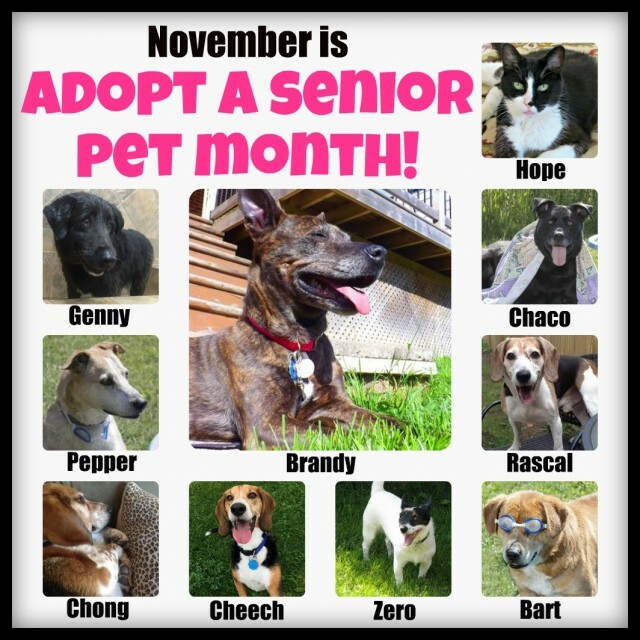 Read all about our adoptable seniors on our ADOPTABLE PETS PAGE. Please note that Cheech and Chong up for adoption as a pair! They are bonded brothers who enjoy doing EVERYTHING together, and we cannot bear to separate them. 1. 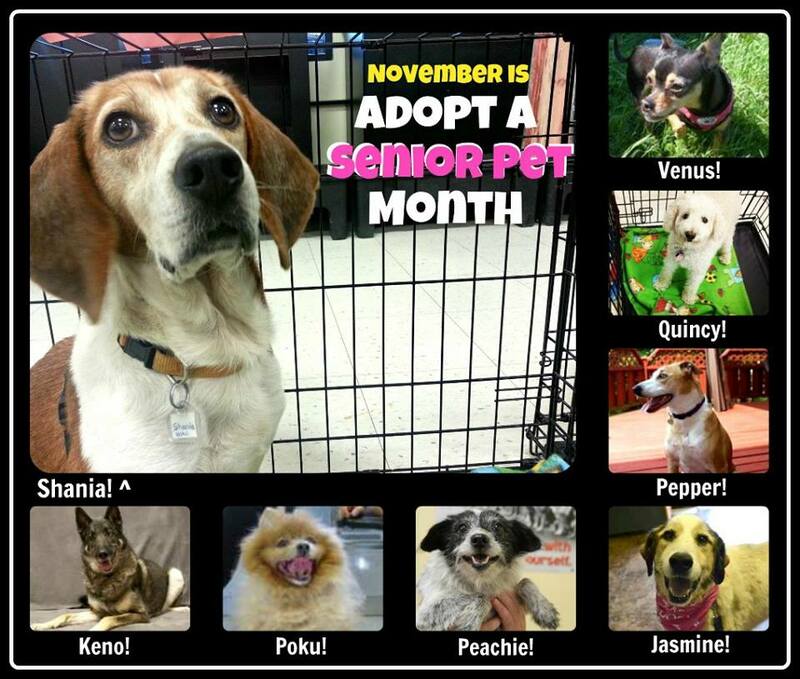 In the photo below, you can see all of the seniors who were up for adoption in November 2013. Pepper is the only one left on our adoptable pets page. Hopefully 2014 is her year! 3. “Age is Only a Number,” a personal story about the making the choice to adopt a senior dog. HI, I was interested in getting some additional information about Chara and possibly meeting her to see if there is a connection. Have you submitted an application yet? (https://animalguardian.org//how-to-help/adopting-a-rescue/adoption-applications/) that is the best route to take. The next step after filling it out is meeting Chara and seeing, as you said, if there is a connection! Thank you for your interest.